Switzerland’s railway energy consumption is estimated to increase by a further 30 per cent by 2030 in comparison to 2010’s figures. 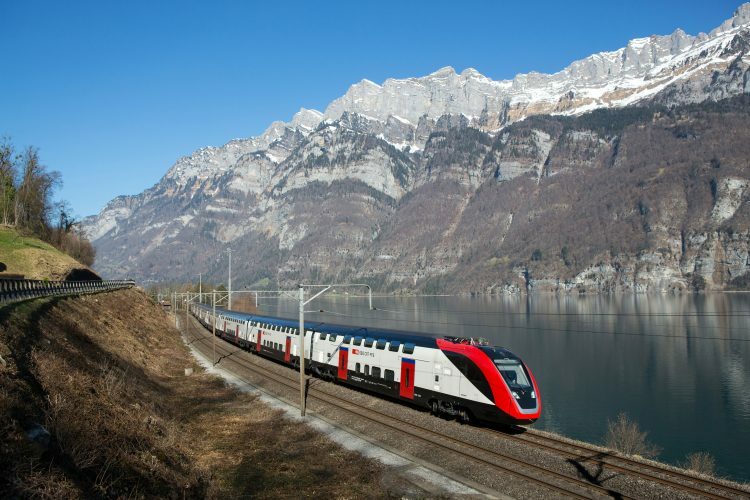 To ensure optimal environmental and financial performance, Swiss Federal Railways (SBB) is determined to reduce the forecasted annual energy consumption by a total of 20 per cent by 2025 as part of its energy saving programme. Oliver Johner, Head of the energy saving programme and Rudolf Büchi, Head of Operations and a Member of the Infrastructure Management Board at SBB AG, explain the close collaboration between railway undertakings and SBB infrastructure in using and further developing the adaptive control (ADL). The Railway is the backbone of sustainable mobility in Switzerland. With around 10,000 trains running each day, Swiss Federal Railways (SBB) operates the busiest rail network in the world. In addition to the challenges associated with mixed traffic, the rising network utilisation also places major demands on rail services. Even minor deviations from the timetable can have a negative impact on operational stability, with significant knock-on effects. The railway is also one of the largest power consumers in Switzerland. The railway undertakings involved in passenger and freight traffic pay approximately CHF 250 million each year for rail power. SBB’s energy consumption is set to increase by a further 30 per cent by 2030 compared to 2010 due to the expansion of services. However, in order to ensure environmental and financial performance, SBB is striving to reduce the forecasted annual energy consumption by 20 per cent by 2025 as part of its energy saving programme. The programme was commissioned by the management board in 2012 and during 2017 300 GWh were saved, meaning that SBB is already halfway to achieving its ambitious goal. Some of the key pillars in this programme are technical innovations in rolling stock, fixed installations and buildings, an energy-efficient service structure and innovations in rail services. The most powerful measure is adaptive control (ADL), which is vital for ensuring both a precise and energy-efficient rail service. SBB Infrastructure Operations is responsible, in cooperation with the railway undertakings, for the infrastructure side of rail services such as traffic control, customer information and intervention. The locations of this business unit are centralised in four train-control centres and the Operation Center Infrastructure for network management. The Rail Control System (RCS) is a central dispatching tool developed in-house by SBB. Reducing ahead-of-schedule train operations through energy-efficient driving (EcoDrive): ADL detects when a train is set to arrive ahead of schedule and calculates the most energy-efficient speed for it to travel at to ensure that the train arrives at its next stop on time. The dispatcher in the train-control centre approves the driving recommendations that are calculated by ADL, which are then immediately communicated to the locomotive crew. These are only recommendations, not firm instructions. Track signals are still the top priority for engine drivers. The ADL system has been used network-wide in the very core of rail services since 2015 and enables dispatchers and locomotive crew to work together more effectively. 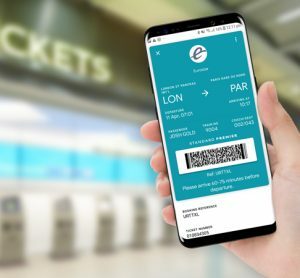 They share the common aim of precise and energy-efficient rail services in line with the relevant priorities: Safety, punctuality and economic efficiency – in that order. Promptly communicating driving recommendations to the engine driver’s cab via LEA, smartphone, laptop or GSM-R CabRadio. If the time is up, the message and the ADL panel will be hidden. The message will only be shown again if the driving recommendation changes or is cancelled, meaning the driver is not distracted by an inactive window. Network utilisation for mixed traffic, which is already at a high level and continuing to rise, is posing major challenges for SBB. Maximising utilisation of capacity and energy efficiency are inter-dependent aspects within rail services. 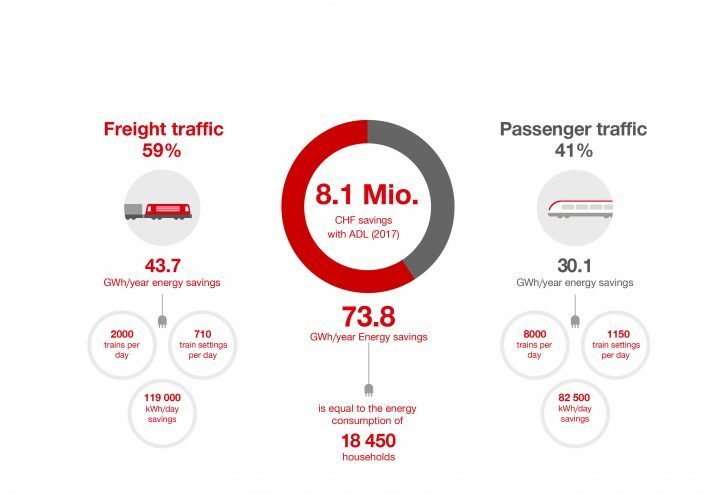 With ADL, rail services are making a meaningful contribution towards lowering energy costs and skilfully managing the increasing traffic on the network, even within the context of exacting punctuality standards. In practice, it is clear that ADL conflict optimisation works particularly well from a technical perspective in dealing with mixed traffic. 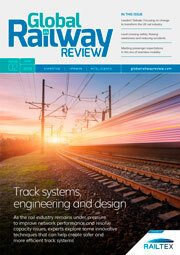 Network-wide conflict resolution based on a central calculation leads to the optimisation of all railway undertakings’ vehicles, reducing the number of conflicts arising from operational situations and thus improving both punctuality and energy efficiency. In 2017, energy savings of some 74 GWh across a total of 635,000 driving recommendations were achieved thanks to ADL (conflict optimisation and EcoDrive), as displayed in Figure 2. This represents an increase of 48 per cent compared to 2016. Depending on the operational situation and the resultant conflicts, this figure is set to rise further in the years to come. Even during the development phase of ADL, the SBB Passenger Division, SBB Cargo and other railway undertakings were closely involved in testing. In current operations, the close cooperation between the individual organisations on further developing and fine-tuning algorithms has proved successful. For example, the user representatives of locomotive crew, dispatchers and IT attend monthly meetings to explore further opportunities for optimisation. In addition to technical optimisations, initial and further training of dispatchers and engine drivers on the topic of ADL are also organised collaboratively. When it comes to ADL EcoDrive, however, the available energy-savings potential has not yet been fully exploited. One of the reasons for this is the current rule that only trains that are ahead of schedule by more than one minute receive driving recommendations. Likewise, the accumulation of messages to the locomotive crew can lead to a certain sense of ‘tuning out’, meaning not all controls are actually executed. This is why SBB examined and worked out the possibilities for further developing EcoDrive as part of a study run in 2017, by an interdisciplinary team consisting of experts from SBB Infrastructure, SBB Passenger Division and SBB Cargo as well as Energy and IT. BLS previously tested three driving recommendation systems in a pilot project with SBB Infrastructure. The test runs and analyses show that the net energy consumption in regional train operations can be reduced by up to 15 per cent as a result of driving recommendations, providing that deviations from the operational timetable are permitted in intermediate stations and the driving recommendations for the locomotive crew are displayed ergonomically. If implemented carefully, the driving recommendations continue to guarantee a high level of punctuality and contribute to reducing the variation in driving styles. A lot has already been achieved with adaptive control when it comes to conflict optimisation and energy efficiency. However, there is still further potential for optimisation to be exploited at human, technological and organisational levels. The ADL tool is being developed collaboratively by SBB Infrastructure and the railway undertakings, serving as a link between control centres and the engine driver’s cab. In Swiss freight traffic, more than 30 per cent of the trains deviate from their scheduled train path by more than 30 minutes. In these cases, the dispatcher controls the train’s forecast down to the minute, but the locomotive crew are unaware of the issue. They only receive the daily timetable with target times together with their working timetable. With the further development of ADL, the locomotive crew will be given the same information as the dispatcher in the control centre. With this Veco information, the engine driver will know the ideal speed to travel at to get to the target destination in an energyoptimised and punctual manner, shown in Figure 3. Driving variation can be reduced through standardised recommendations. The digital operational management tools RCS, ADL and HOT (Hub Optimisation Technology) are already integral within modern rail services. 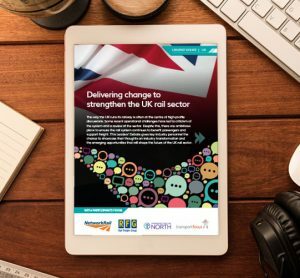 In a digital future, the degree of automation for repetitive tasks within rail services will rise further. The human factor will primarily display its strengths in evaluating alternative dispatching options, while the determining of all possible options given by the dispatching system on the basis of actual data and forecasts will increasingly be carried out autonomously. The professional depiction of future mobility in traffic, which is efficient in terms of both capacity and energy, is a ground-breaking innovation for modern railway services on extremely busy mixed traffic networks.